Click on a image to see details. The ability to use Windows application on the new Intel Macs is a great marketing strategy and buying point for several switchers now. There are several solutions available now and I go into some detail about the latest one to hit the market by Codeweavers in this episode. Codeweavers CrossOver for Mac is still a beta release. However, it seems to be a solid beta release and with the promise of new features to be added and more applications to be officially supported by the time we see a final release, this product looks like it will shape up to be a serious contender in the growing Windows virtualization sector of the Mac software community. Essentially, you can get most of the same basic functionality of this product for free from an open-source project called Darwine, which is a port from the Linux project WINE for Mac OS X. I have tried using Darwine before, including using this same application, but I wasn’t sucsessful in getting it working. So, my experience with CrossOver for Mac was much better, but the open-source alternative (on which CrossOver is based) is available if you’re a tinkerer. CrossOver and Darwine are described as a Windows API compatibility layer on top of the host OS. What makes this solution different from a complete virtualization solution like Parallels Desktop is that instead of having to run a full OS, like Windows XP, with all it’s services and processes, you are just going to be running the application. 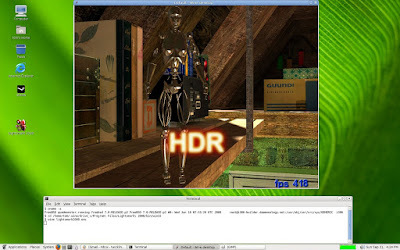 CrossOver will fool the application, in our case DVD Shrink, to believe that it is running on a Windows 2000 installation, and with a very few small exceptions, it runs withtout a glitch right beside all of our other Mac OS X applications. That being said, this is the holy grail in some respects, but the worst thing to happen for Mac developers in others (think “Let’s just write Windows software, they can always just run that on a Mac with CrossOver….”). So let’s get started using DVD Shrink for Windows on our Mac! Of importance in this tutorial is the fact that you don’t have to have an Intel Mac to get this working as far as I can tell, although I haven’t tested it on a PPC one yet. (I’m not exactly sure what I was thinking here. Yes, WINE ran just fine on Linux, but it was Linux x86, not Linux for PPC. Therefore, CrossOver is for Intel Macs only, although I can’t find that on their website easily. First, you’re going to need to download and copy the CrossOver application to your Applications folder (or where you keep your apps). 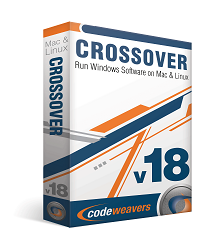 Download CrossOver Beta 1 here. Now, fire up CrossOver for the first time. You’re going to get a box begging for financing everytime you launch the app, register if you wish to support the effort and get in on lower intro pricing (like what Parallels did). If not, just click “Continue”. Now we need to install a piece of software. We’re going to be working with a program for Windows called DVD Shrink. This piece of software lets you take a DVD that is larger than the standard 4.7GB and shrink it to fit on that size disc, allowing you to make a backup copy of a commercial DVD. (NOTE: I do not condone or suggest that you use this tuturial as a way to break the law. Only copy or backup DVDs that you own and don’t distribute those). Once you have downloaded DVD Shrink, you need to unzip the zip archive. You will now see a program labeled “dvdshrink32setup.exe” on your Desktop with an icon with some gears and the CrossOver logo. If you double-click this, it should launch CrossOver, even if the program isn’t currently running. However, I recommend (just because I haven’t tested installing something that way) to go through the “Install Software” feature inside of CrossOver. Use the “Configure > Install Software” feature to bring up a window like the one below. 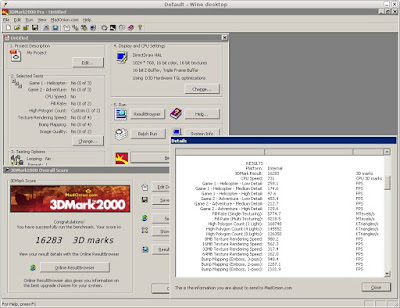 The list of supported software isn’t very long (there is an online list as well that you can talk with other people about your experiences with a certain piece of software), so we’re going to use the “Install Unsupported Software” button in the bottom left-hand corner of the window. Click “Continue” in the next window. The next window is informing you that installing software that isn’t officially supported has a good chance of messing up what you already have installed and working. If you follow the suggestions, then you can create a new “bottle” which is essentially a little container where your application thinks it’s running in Windows. For this tutorial I haven’t installed anything before, so I had to create a new bottle to start with. It’s up to your discretion whether you’d want to keep using different bottles for every program or not. I’m not sure what the effects on hard drive space and the like would be. The next window that appears lets you choose the installer that you’re going to use. This is the “dvdshrink32setup.exe” file that we unzipped on our Desktop. Choose the left option in the window and then browse to that file and click “Continue”. From there it will launch the actual DVD Shrink install program for you to install with. Use all of the default options until you are finished with the installer. Once you have that installed, go back into CrossOver and go to your “Programs > DVD Shrink > DVD Shrink” menu to start the program that we just installed. It will launch the program and then we can get started backing up a DVD. I won’t go into much detail here because there are numerous tutorials available on the net about using DVD Shrink. Use Google and find those. I’ll mention just a few quirks with the program here because they are related to CrossOver and the Mac. You won’t be able to access the disc itself in this program. CrossOver doesn’t let the program see the physical drive itself. This being said, you won’t be able to use the built-in burn functionality either. You’re going to need some free hard drive space to get this accomplished because we’re going to be copying the entire DVD uncompressed to you hard drive (from 4.7 up to almost 9GB in some cases), then we’re going to encode it in DVD Shrink (I’m assuming that takes up some space somewhere) and then we’re going to create another 4.7GB disc image. To access your DVD, you’re going to need an application that will “rip” the DVD to your hard drive. There are a few solutions available for Mac, the most used being MacTheRipper. (I’m not linking to that here for copyright violation issues. 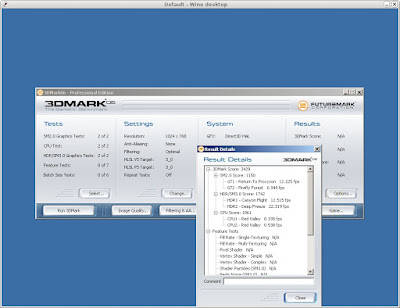 However, you can find it on VersionTracker or MacUpdate). Rip your DVD to your hard drive and it will create a folder with the name of your DVD and in that it will have a “Video_TS” folder. That’s all good. (Recommend placing this on your Desktop as it will make locating it easier later). Now, back in DVD Shrink, we need to open up the DVD we just ripped to the hard drive. Click the “Open Files” button back in DVD Shrink and we’ll have to browse for the “Video_TS” folder that we just ripped to the drive. If you placed this on your Desktop, you can use the “My Mac Desktop” folder in the file browser for easy access. If not, finding it is going to be a pain. Your hard drive shows up a few different ways in the browser (Your home folder as well as the root of the drive) and if you have stored it on an external disc, you would have to use the “/” and then “Volumes” to be able to find the name of your disc. This is very confusing for some Mac users because they have never seen folders with that name before. If you’re interested in why you are seeing that, read more up on Unix and it’s underpinnings in Mac OS X. Now that we have sucsessfully opened our DVD, you can change a bunch of settings to tweak the compression on your extras, languages, submenus and more. You want the whole bar across the top to be green, saying that it will fit onto one disc just fine. Once that is done, we’re going to want to “Backup” our DVD. After clicking the “Backup” button, you have a couple options to save our work. You can either save it as a Disc Image which we can later simply burn to a DVD using Disk Utility, or you can save it to a folder, which will create another Video_TS folder, which you would need something like Toast, or LiquidCD (which is very nice and free, I’ll be talking about it in another episode) to be able to burn to DVD. With whatever option you choose, you now have a working version of the disc you started out with, except that you have it on a smaller, regular DVD now. 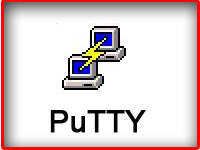 If you’re confused about how to burn a disc image using Disk Utility, you need to open Disk Utility (Applications/Utlities) and open an image from the “File” menu. Then select that image in the left-hand pane and click the “Burn” button to burn the image. You can also do this with several other applications, but this is an easy way as well. I hope that everyone has had sucsess with DVD Shrink and can now sit back in wonder at what you’ve accomplished. 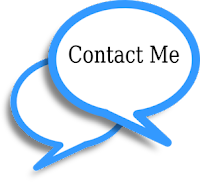 Be sure to send me emails and talk to me on AIM if you have any questions about the topic and I’ll get back to you shortly. I was originally going to do an indepth review of Boot Camp here as well, but after looking around the net for awhile, I realized that there is already several hours worth of reading available for people to read. That said, I was pretty impressed with the painlessness of the whole process and I didn’t have any problems getting Windows XP SP2 installed on my Macbook. My whole obsession with this started because I was going to place and boot XP from my external USB drive, but not having time to get this accomplished right now, I settled for trying this out. If you have a need for better video and graphics support (such as games!!) than what Parallels provides, than this is a pretty cool solution. It’s also free and will be bundled in with Leopard itself when that finally launches. Key thing to remember is to just backup your data before you get started, and that you can’t use any disc except a full install, no upgrade discs.